An absolute one off. For the avid Bond Collector, this is a unique, statement piece. 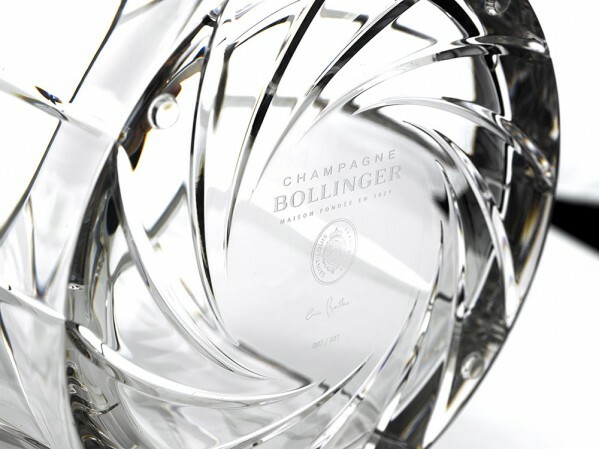 Designed by Eric Berthés of Saint Louis, which was founded in 1586 and is now part of the Hermés Group, the Bollinger Spectre Crystal Set features a new, prestige limited edition 1988 Bollinger R.D. 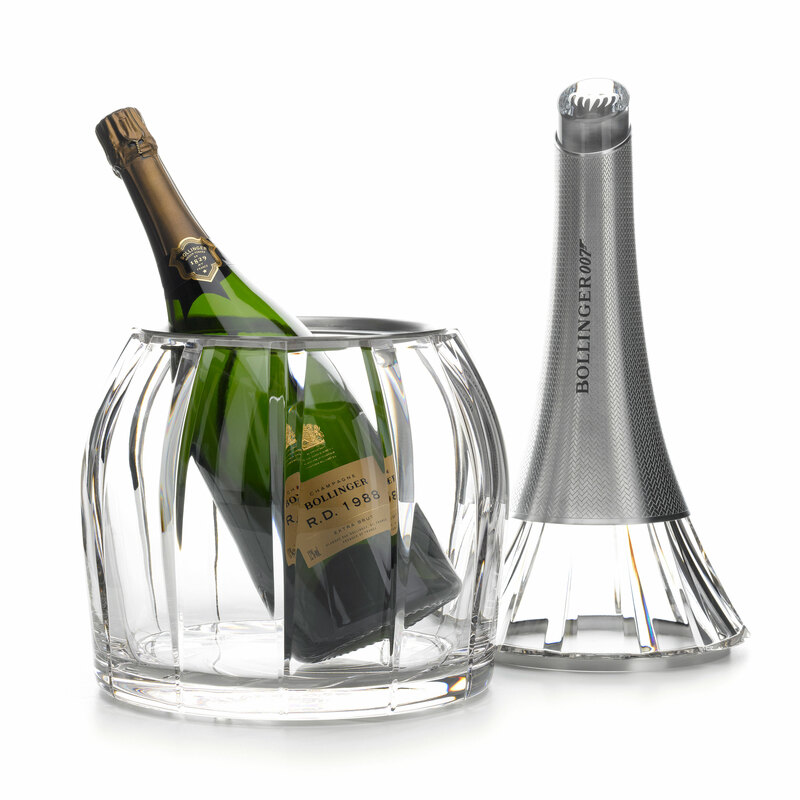 Magnum encased in a unique Crystal Ice Artwork. 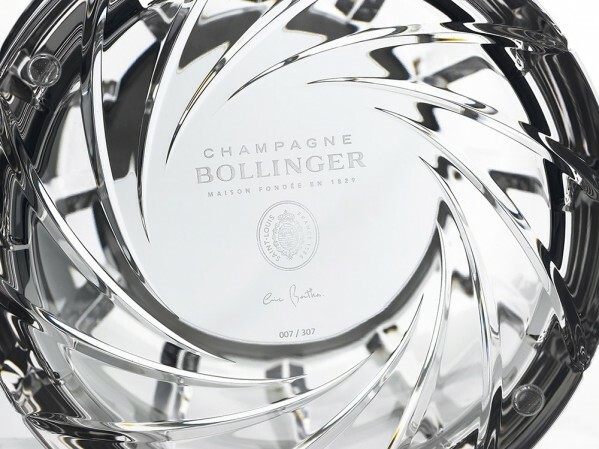 The Bollinger Spectre Crystal Set was created and designed by Eric Berthes, He wanted to create a showcase for this real nectar, Bollinger R.D. 1988. A rare, unequalled champagne, part of the producer’s late-release and recently disgorged prestige cuvée vintage Champagne range. 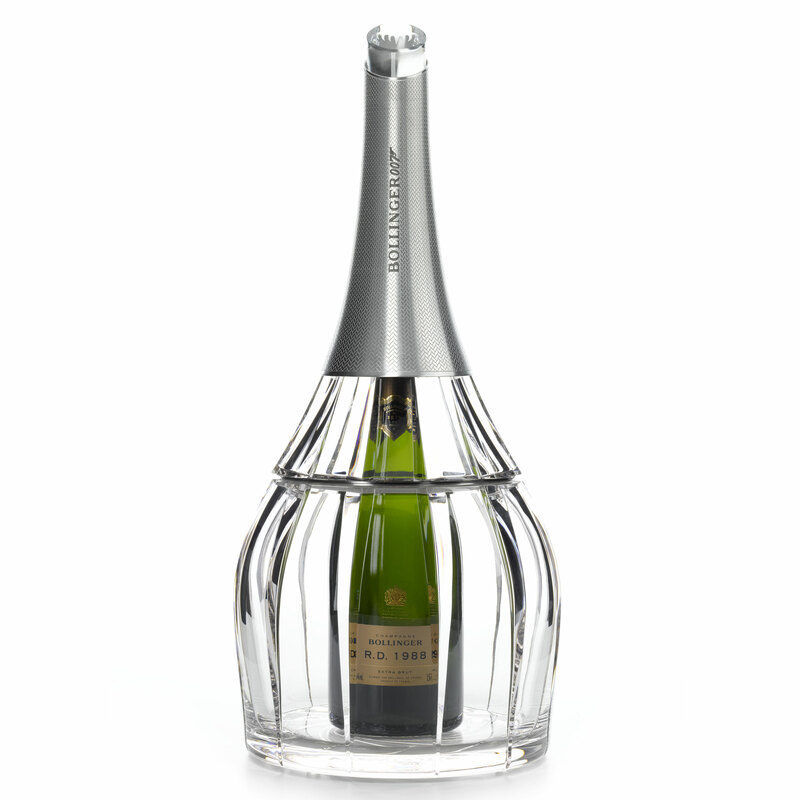 It has matured for a long time on its lees to give an exceptional aromatic complexity and long finish. 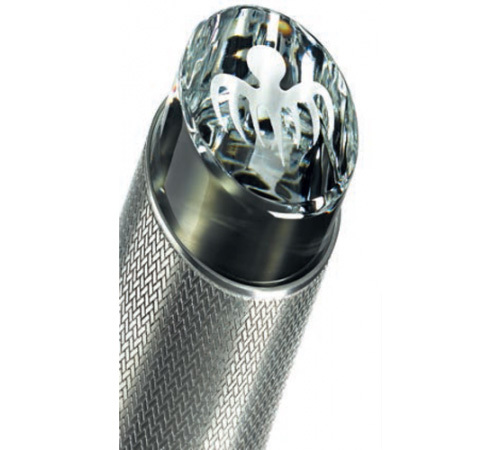 The Magnum can be glimpsed, beautifully enhanced in encased in its Saint-Louis crystal presentation. 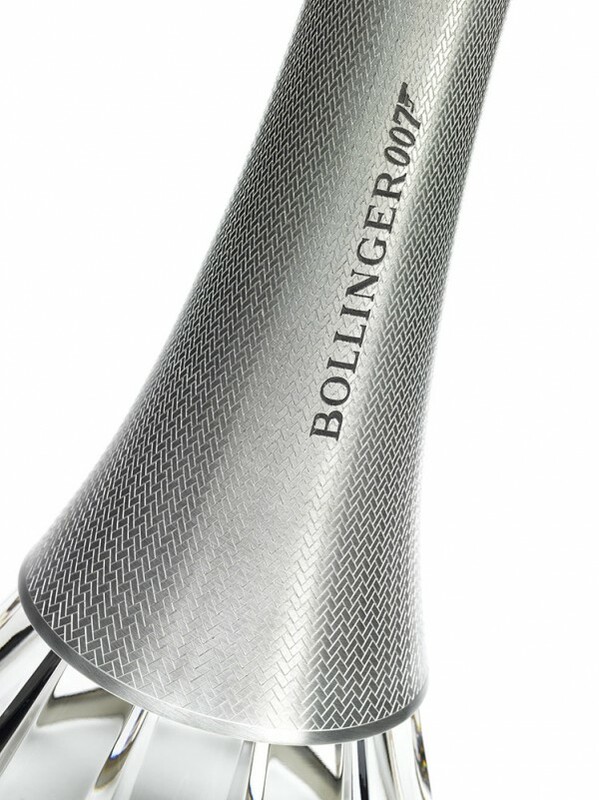 Its base echoes 007's iconic gun barrel, like a fingerprint, while the the top of the tin neck label featuring the BOLLINGER 007 signature is set off with a cabochon marked with the sign of the octopus, the SPECTRE. 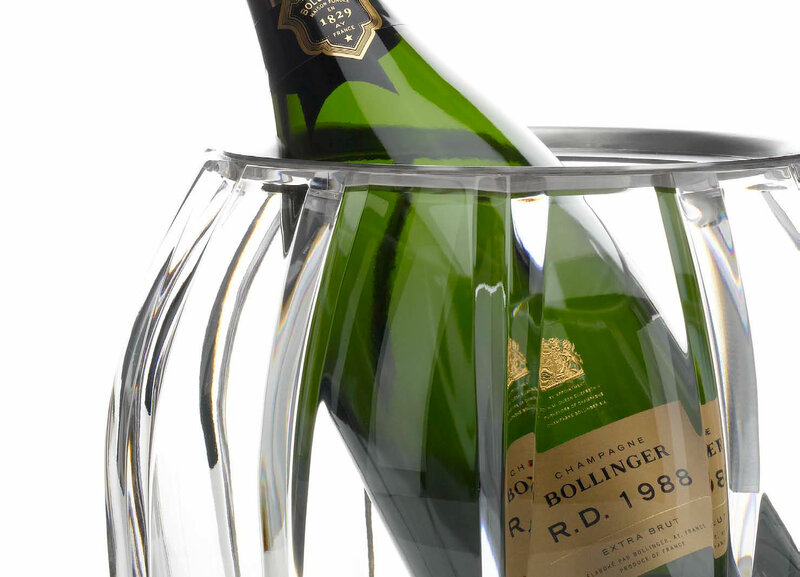 Only 307 of the crystal sets have been produced, crafted by Saint Louis crystal works in Lorraine, to showcase the producer’s R.D 1988 Bollinger. Each bowl is individually numbered. It is nothing short of Exquisite, debonair and breathtakingly beautiful. A perfect partner for Mr Bond.